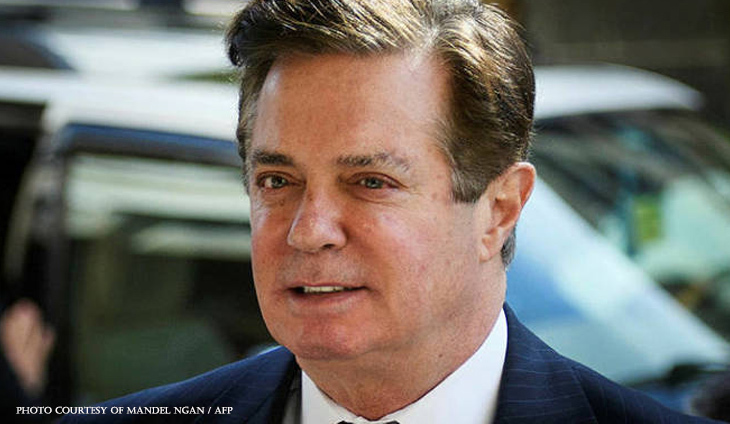 US President Donald Trump’s former campaign chief Paul Manafort was sentenced to 47 months in prison on Thursday for tax crimes and bank fraud in the highest profile case yet stemming from Special Counsel Robert Mueller’s Russia investigation. It was the stiffest prison sentence given so far to an associate of the president in Mueller’s probe into alleged Russian interference in the 2016 election but was significantly lighter than many expected. Judge T.S. Ellis said the 69-year-old Manafort had committed “very serious crimes” but he rebuffed arguments by prosecutors from the Special Counsel’s office for a longer sentence. Advisory sentencing guidelines called for a prison term of between 19 and 24 years but Ellis dismissed that as “excessive” and disproportionate to what other defendants have received for similar crimes. Manafort was convicted in August of five counts of filing false income tax returns, two counts of bank fraud and one count of failing to report a foreign bank account. Prosecutors alleged that Manafort used offshore bank accounts in Cyprus and other countries to hide more than $55 million he earned from political consulting services he provided to Ukrainian politicians. His conviction was the culmination of a stunning downfall for a man who, in addition to Trump’s campaign, worked on the White House bids of Gerald Ford, Ronald Reagan, George H.W. Bush and Bob Dole. “I feel the pain and shame,” said Manafort, who the defense says suffers from high blood pressure and gout. He sentenced Manafort to a total of 47 months in prison for the eight counts and credited him with nine months of time served for the period he has already spent in prison. He ordered him to pay millions of dollars in restitution — the exact amount remains to be determined — and a $50,000 fine. Manafort still faces sentencing in a second case in Washington next week, where the maximum penalty is 10 years and the judge has appeared more sympathetic to prosecutors. The charges against Manafort involved work he did for 10 years on behalf of Moscow-allied politicians in Ukraine, and nothing related to the 2016 election — an issue he argued in asking the court for leniency. Defense attorney Kevin Downing, speaking after the sentencing said Manafort had “made clear he accepts responsibility for his conduct. Manafort is one of six top advisors and associates of Trump’s 2016 presidential election campaign to be charged in the Mueller investigation. During Manafort’s trial, much of the damaging testimony against him was provided by his former deputy Rick Gates, who is awaiting sentencing after reaching a plea agreement with the Special Counsel’s office. Trump has also dangled the possibility of pardons for some of those indicted — including Manafort, whom he has praised as a “good man” who has been treated unfairly. Manafort has been charged in Washington with money laundering, witness tampering and other offenses and faces separate sentencing in that case on March 13.